Salleri to Everest Base Camp Trekking is a trip through the untouched trail. Very few trekkers have explored this route, which is introduced recently. Trek to Everest Base Camp via Salleri offers you the fresh route, and you do not have to fly to Lukla, rather the drive by a private vehicle takes you to Salleri, which is also the district headquarter of the Solukhumbu. It is incredible to trek in this unusual trail to Everest Base Camp. The road drive to Salleri is quite long, but it will not get disturbed due to any weather change. 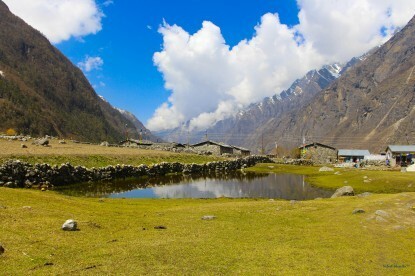 Salleri Everest Base Camp Trekking package includes untouched trail, Sherpa valleys, unique landscape, Himalayan views and the scenarios of flora and fauna. It is a best-recommended trekking route to Everest Base Camp for those who want to trek from the trail that is not trafficked but unique and awesome. The longer Himalayan walk helps you to get familiar and adapt with the alpine altitude. From Salleri, you trek through Ringmo, Kharikhola, Paiya and join the usual trail from Phakding. The hospitality of the local people and traditional lifestyles make your Salleri Everest Base Camp Treks memorable. From Phakding it heads through Namche Bazaar, Tengboche and Gorakshep, and hike further to Everest Base Camp and Kalapattar. The views of the Everest Himalayan range are mesmerizing. After trekking down to Lukla, you fly back to Kathmandu. 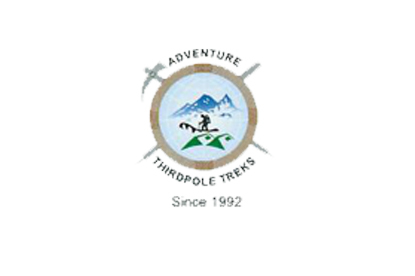 Adventure Thirdpole Treks offer you the wonderful and unusual trek from Salleri to Everest Base Camp having 15 days trekking itinerary. Our local trekking guides lead you through the land of the Sherpas by getting the panoramas of the Everest Region Mountains. You will have leisure time, followed by an evening welcome dinner at a typical Nepalese Restaurant and discuss the trip, in Kathmandu overnight (1,300m/4265ft.). Early in the morning, we start to drive from Kathmandu to Salleri in a private vehicle. It is a long drive but the road is nice. It is a newly constructed road. During the drive, we can view the panoramas of Riverside, jungle, wonderful landscape and the scattered villages. We cross the bridge at Sunkoshi River and continue through Okhaldhunga. On the way, we can see the incredible peaks as Dudhkunda, Numbur Himal, Everest, and others. Then it is a continual drive up and up, which takes us to the district of Solukhumbu-Salleri. After breakfast, we start our foothill journey. It goes through the countryside road, which is wide and after our entire hike, today is easy and comfortable. The view of Numbur Himal is awesome and the local scenarios accompany it. The trekkers, who fly to Phaplu from Kathmandu for 25 minutes, have also the same route for trekking. We cross small streams and hill gorges. From Fera, we walk through the jungle of Pine till we get to Ringmo. We walk furthermore 2 hours to reach Taksindo. We enjoy the first-day trek and take a rest. From the hill of Taksindo, the picturesque scenarios of Salleri can be explored. The monasteries of the village represent mystical touch with Tibetan Buddhism. From another ridge, the views of Lukla, Nunthala valley astound us. Then we descend through the alpine forest, pass the Nunthala village and continue to trek down, cross the Dudhkoshi River and get up to Jubing. After about 2 hours ascend, we reach Kharikhola. Kharikhola is a densely populated village of the Magar ethnic group. Their cultural lifestyles are unique and have wonderful hospitality. We start our today’s walk; pass the village, cross the stream. Then it is a continual climb up to Bupsa hill. Then it is a gentle climb up to the top. There are few tea houses. Till Paiya, we walk mostly through the flat and rocky trail. After breakfast, we trek through the easy trail for 2 hours. Then we descend to Surke, which is all steep down. It is the base of Lukla (the gateway of Everest trekking, mostly for the trekkers who prefers to go by flight). It is now the gentle climb up by exploring the local surrounding of the Sherpa village, pass the yak grazing meadows and reach to Phakding. Crossing the suspension bridge, the walking continues to ascend up to Jorsalle, the entrance to the Sagarmatha National Park. It is a gradual ascent to Namche Bazaar, exploring the first sights of the Everest panorama view. We hike to the local area as Syangboche and Hotel Everest View. The views of Ama Dablam and other stunning range as Lhotse are seen clearly. We also have an opportunity to explore the traditional customs of the Sherpa people. After breakfast, the trip commences through the wonderful hills and glacial river Dudh Koshi. The views of blue pine forest attract us and we reach Tengboche via Phunki Tenga and Soso Kharka. The Tengboche Monastery is located at 3870 meters altitude with its rich decoration. In the morning, our trek continues to and we get the wonderful views of mountains, the wilderness of flora and fauna as Musk Deer, Blue Sheep and others. Crossing Somare, Orsho and heading through the Imja Khola, we reach Dingboche. After breakfast, we head by making the destination of Lobuche. Following the trail via Dusa and crossing the Dugla Pass, we reach to Lobuche with the tough walk through the Khumbu glacier. On the way, we can see the stone memorials for climbers, who have passed away on the nearby mountains. Heading through the rugged trail gives you the adventure experience. It goes by another side of the Khumbu glacier. After about an hour, then we walk steep up to get the top and continue through the rough rocky trail. 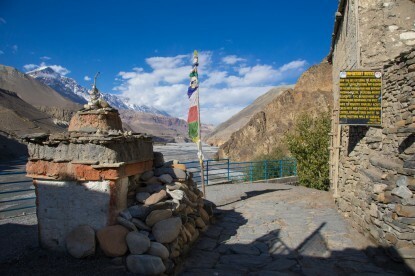 We reach Gorakshep through the Italian Research Center and Lobuche Pass. After a rest, we hike further to the Everest Base Camp through the new moraine route. On the way, we can see Pumori, Nuptse and other mountains on the background. Everest view is available only before reaching to Everest Base Camp. It is not that much difficult to walk because of the trail, but the higher altitude makes it tough. Then, we descend back to Gorakshep. 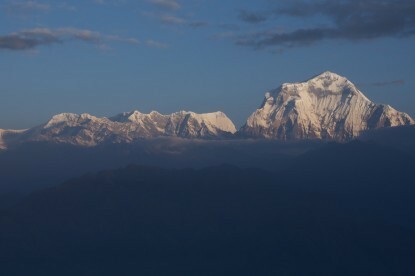 In the early morning, we hike to Kalapattar, which is also a good viewpoint of the Everest range. The views of Mt. Everest, Lhotse face, Nuptse, Ama Dablam, Taboche, Cholatse, Lobuche East and Pumori on the background, which is just behind the Kalapattar. The golden mountains during the sunrise period are fabulous, including the top of the world. Then we descend to Gorakshep, have breakfast and trek down all the way to Pheriche. After breakfast, we start to trek down to Namche Bazaar via Taboche, Pangboche, and Phunki Tenga. The views of the Himalayas and forest are wonderful. From Namche Bazaar, we continue to trek down to Lukla, the last trekking day of the trip. With the view of the waterfall and Sherpa villages, we cross the Phakding, Nurning and reach to Lukla.